This time last year, SoundCloud was in hot water. Having posted yet another hefty annual loss ($82m) in 2016, the streaming platform spent the summer of 2017 simply trying to survive – cutting 40% of its worldwide headcount and closing offices in London and San Francisco in order to stay afloat. Nine months ago, however, a major transformation began: a majority stake in SoundCloud was jointly acquired by The Raine Group and Singapore-based Temasek in a deal which saw a $170m investment pumped into the service’s coffers. Kerry Trainor – the former boss of Vimeo – became SoundCloud’s new CEO, bringing with him a strong reputation for driving revenue on digital platforms. Today, for the first time in a long time, SoundCloud seems to be on the up. Trainor recently revealed that, in calendar 2017, his Berlin-based company turned over more than $100m, while the American exec’s team have re-focused SoundCloud on its core strengths – namely selling tools to creators, in addition to playing a vital role in helping to break new artists. To this end, SoundCloud recently launched its ‘First On SoundCloud’ programme to back specific emerging artists with sustained marketing support across its platform. As Trainor tells the latest edition of the Music Business Worldwide Podcast (listen below): “In terms of where we stand financially, we’re very happy. 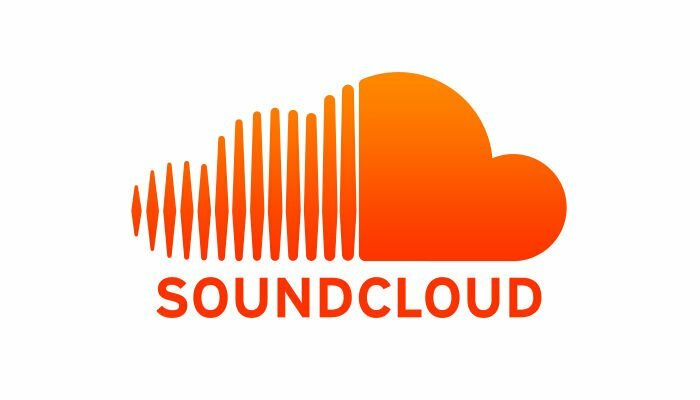 Looking back to last year’s uncertain period in SoundCloud’s history, Trainor comments that reports of the company’s near-demise were “greatly over-exaggerated”. “Certainly some things needed to be corrected and put on a slightly different course,” he says. He adds: “There was a huge period of investment [when SoundCloud] was just starting to get licensed that has to precede the growth of the revenue lines around it. SoundCloud’s reputation for being a go-to destination to discover new and ‘unsigned’ artists, of course, has never been in doubt: unlike the 40m-ish track catalogue seen on the likes of Spotify, SoundCloud’s available library now stands at over 180m songs. Amongst this huge catalogue, you’ll find a fair chunk of ‘SoundCloud Rap’, a nomenclature recently picked by the US mainstream media to recognise SoundCloud’s early relationship with the likes of Trippie Redd, Lil Yachty, 6ix9ine – not to mention huge breakout star Post Malone. Trainor tells MBW that SoundCloud is now thriving on a “dual-sided ecosystem”, whereby it serves both artists looking for tools to get noticed – and “voracious” new music fans looking to notice them. He no doubt will have noted that Daniel Ek, at Spotify’s Investor Day back in March, also started talking about his platform’s “two-sided marketplace strategy… not just serving fans, but also building tools for the entire artist community”. “SoundCloud is a one-of-a-kind – a truly open platform,” Trainor tells MBW. “People often think of us through that consumption lens first… [but] the way that gets built is totally unique and differentiated from the other services. Trainor was impressed by Spotify’s flotation on the New York Stock Exchange, which the Swedish company pulled off last month on April 3. “[Spotify’s] flotation ultimately is good news for the space,” says Trainor. “It wasn’t many years ago when we were all wondering, ‘Will people pay for music again?’ That the answer is resoundingly yes is exciting for everyone. “We [as an industry] are on our way to hundreds of millions of paying music customers worldwide. [Spotify’s flotation] is great validation of that, and deservedly so.